Advantages of Bismuth Metal - Changsha Santech Materials Co., Ltd.
Bismuth has a series of excellent characteristics, such as large specific weight, low melting point, cold expansion and heat shrinkage during solidification, etc. Especially, bismuth has many special applications due to its non-toxicity and non-carcinogenicity. Bismuth is widely used in metallurgy, chemical industry, electronics, aerospace, medicine and other fields. Bismuth ingots are refined bismuth, metal bismuth, bismuth beads, bismuth strips, bismuth strips, bismuth rods, bismuth type strips. 1. It mainly uses its low melting point property to make barrier installation, fuse, fuse and fusible sheet which can be melted at a predetermined temperature. Low melting point solders, such as the famous Wood alloy, can also be made for lens positioning, glass sealing, electronic component welding, etc. 2. To act as a heat carrier or coolant in an atomic energy reactor; Used in heat treatment pool for annealing and other heat treatment of special metal materials. 3. To act as a heat carrier or coolant in an atomic energy reactor; Used in heat treatment pool for annealing and other heat treatment of special metal materials. 4. Bismuth also has some special properties. For example, adding 0.2% bismuth to tin can prevent " tin plague", which can prevent tin plating coupling shafts and water tanks of automobiles and tractors from cracking in cold weather and tin plating layer in cans from deteriorating. Adding a small amount of bismuth to steel, iron, aluminum and bronze can significantly improve the processability of the material. The amount of bismuth used as an additive is increasing year by year, becoming one of the main uses. 1. When bismuth is uniformly dispersed in steel, the particulate bismuth melts after contacting with the cutting tool, acts as a lubricant, and breaks the chips to avoid overheating, thus increasing the cutting speed. 2. 0.2 - 0.4% bismuth is added to the Al - Mg alloy, the alloy will not crack during rolling, and the corrosion resistance and external force resistance of the alloy are enhanced. 3. Adding bismuth to copper can be used to make wear-resistant alloy and gear. 4. 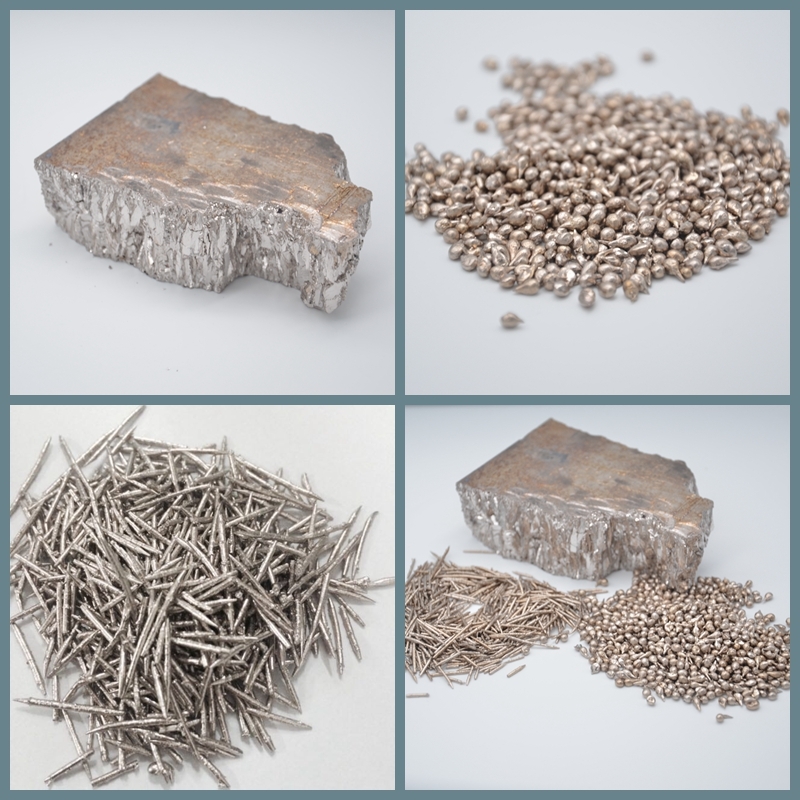 Adding 0.002 - 0.005% bismuth to cast iron can improve the casting performance of malleable cast iron, increase the white tendency and shorten the annealing time, and the elongation of parts becomes better.